In 2007, Kornstad published his first solo effort, Single Engine (Jazzland). Entirely improvised, and recorded in Bugge Wesseltoft’s studio over the course of six months, the album collected a series of extremely delicate acoustic pieces centred around tenor and bass sax, flutes and melodica. On Dwell Time, which followed two years later, again on Jazzland, Kornstad took on a different approach as he experimented with loops and layers. Conceived whilst on tour, Symphonies In My Head was, like its predecessor, recorded at the Sofienberg church in Oslo, earlier this year. The album follows a similar principal to that devised for Dwell Time, but here, Kornstad adds celeste and sansula, a thumb piano, to his palette, and uses rhythmic components to infuse his improvisations with a more hypnotic feel. The album opens with a rhythmic pattern which Kornstad creates by looping the sound of keys being pressed and released, and a distant hiss, upon which he applies increasingly potent strips of tenor sax. Damascus and Flutter also use rhythmic elements, the former in somewhat sober fashion, with loops of bass sax providing an anchoring point for the rather introspective melody which is placed above, whilst the latter builds from flute textures clustered into a hypnotic grooves, which is then enriched with smooth flute motifs first, then tenor sax sequences. The music is however here once again extremely delicate, minimal and nuanced, as Kornstad constantly plays with clair-obscure tones and creates mood areas from exquisite loops, over which he layers breezy melodies on tenor sax, flute or flutonette, (a flute equipped with a saxophone mouthpiece). Pieces such as Aire, Mandal or the wonderfully evocative Plystre, which closes the album, are particularly haunting and dreamy, something which Kornstad emphasises on the latter piece by adding vocal textures, a node to his growing interest in operatic work, and a gentle motif whistled over dying loops toward the end. Sansula also proves a particularly sumptuous ethereal piece, built around a delicate shimmer of celeste and thumb piano, upon which Kornstad adds earthy swathes of flutonette to give it a slightly oriental feel, whilst on ABA, he appears to return to the entirely acoustic settings of Single Engine for a moment. 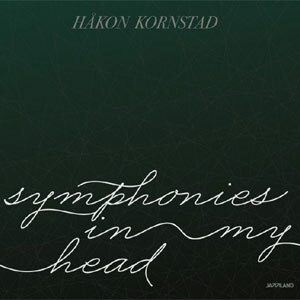 With his solo records, Håkon Kornstad is slowly devising a universe away from his collaborative work, where he can experiment with subtle musical touches and experiment freely with his instruments. This allows him to progressively push the boundaries of his improvised work and give it incredible depth and substance. Symphonies In My Head may be more elaborate than its predecessors, yet it retains the exact same urgency. 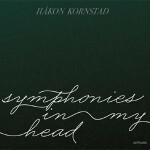 Whatever symphonies Kornstad had in his head when working on this album, they have become beautiful pieces for us all to hear.